He was expelled from school at 15 but he still won television’s “The Apprentice”. "I was a nightmare for the teachers." Before his television fame, Joseph Valente had a sometimes disastrous time as a teenage apprentice, but went on to qualify as a gas engineer. Always an entrepreneur, he took out a loan at 22 to start out in business. He now runs ImpraGas, where he has four apprentices on his books and turns over close to £3 million. Next year he starts a new academy for entrepreneurs to provide mentoring and support for young people setting up in business. He’s said he aims to retire a billionaire at 50. I was a nightmare for the teachers. I found it difficult to learn in an academic environment. I didn’t like doing stuff when I couldn’t see a direct benefit – I wasn’t that good at it and I couldn’t see myself getting any better. I struggled with authority, I didn’t like being forced to do something. My home life wasn’t great either – I was in trouble with the police, I was just rebelling. Long before the television series, you were an apprentice yourself? In two years, I had seven apprenticeships. I worked hard. After I was thrown out of school, I offered to work for a plumber I knew for free. I kept my word and after a year I started an apprenticeship – but the business went bust. I knocked on doors and phoned everyone in the Yellow Pages. I was treated really badly by another employer, got fired by another, and through no fault of my own ended up working with several companies just to finish. But that was worth it. I knew in my heart that despite the knock-backs, I had to carry on. Why do you hire apprentices? I started out as a man with a van, and hired my first apprentice in 2012 – I now have four. They’re incredible, one of the company’s best investments. I wanted to give young people a chance to learn as I did. They’re dynamic, hungry to learn and it’s an employer’s duty to teach them. I’ll continue to employ more. We pay them above the going rate – I don’t want them scrimping and scraping to get by as I had to. As an apprentice, you might feel nervous, think you’re not able to do anything but actually I’ve found the complete opposite. Where does your own drive come from? When I was growing up, we didn’t have a lot of money as my old man didn’t work. By contrast, my uncle was a wealthy guy. I tried to understand the difference between the two of them – how someone could do so well, and another so badly? I never wanted to live as we did when I was a child with so little money. A lot of people gave up on me when I was expelled – they thought I was stupid. That wasn’t the case, I just wanted to prove to myself I could do it. It’s not really been about the money. What’s it like to appear in The Apprentice? It’s an emotional experience. It’s hard, dreadful, exciting. You’re thrown into situations, asked to do things you know nothing about, it’s tiring and days are long. What it did make me realise is that I can turn my hand to anything. It’s nice to achieve – it’s a great confidence booster. I came out a hell of a lot stronger. What’s Lord (Alan) Sugar like? What you see is what you get. He’s an inspirational figure. In person, he’s very much as he is on television. There are no “hellos” or “goodbyes”, no emotion. It’s all about what the business needs, what’s going on. What do you look for when you hire your own apprentices? Passion – that’s the most important thing when bringing someone on. They may not have had much chance to do much in the world of work. I’m looking more for what they could become. I want to hear them say ‘these are my reasons why I want this. These are my goals.’ I don’t want people who’ve been forced along to interview by the school or their parents. CVs are useful up to a point, but I’m more unorthodox, I want to see how much drive they have. Do you welcome the government’s push for more apprentices? It can only be a good thing. You need to know about your options earlier on in your school days – in years seven or eight. And you need figure heads – real examples of people who can show an apprenticeship is worth it. Someone wealthy and successful who can demonstrat, when the money’s not great and you might feel a bit of a dogsbody, that you will get there. What’s been your hardest moment in your career? When I bought back my share of the company from Lord Sugar. He was such an inspirational figure. I had hoped we would work together, make millions together. But we wanted different things. It was an emotional time. 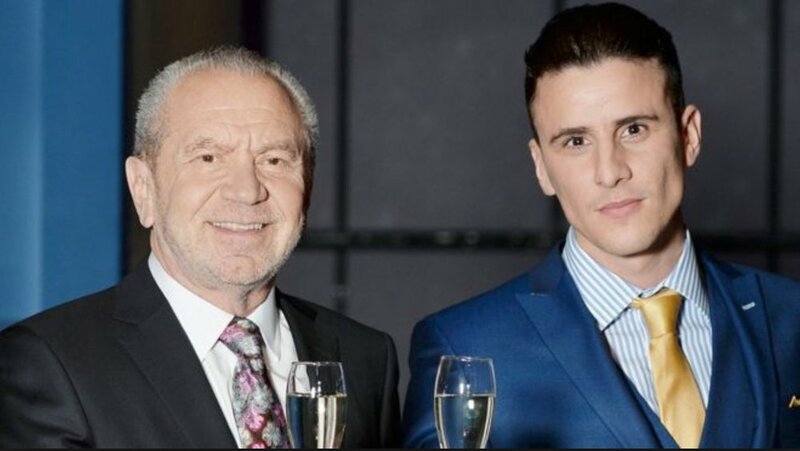 (Two years after winning the show, Valente bought back Lord Sugar’s £250,000 stake in his business ImpraGas – the pair said they’d parted on friendly terms). You can read more about Joseph Valente’s life in his autobiography “Expelled From The Classroom To Billionaire Boardroom”.